Although I thoroughly enjoyed diving into a neutral palette with yesterday's outfit, I returned right back to my colorful zone. This dress is full of color that I hardly had to make much of an effort. I nabbed this on eBay even though it's "just" a F21 dress. Needless to say, it was uber inexpensive! I hope you all have a wonderful weekend. Are any of you watching The Avengers? i am supposed to watch the avengers on cinco de mayo! so looking forward to it! Amazing outfit i looove it !! Love your Missoni-inspired dress! It looks great on you! And of course, the jean jacket is amazing!!! Would you like to follow each other? I do a new DIY every week on my blog! I love your sunglasses! They're such a cool shape. And that dress is really cute! 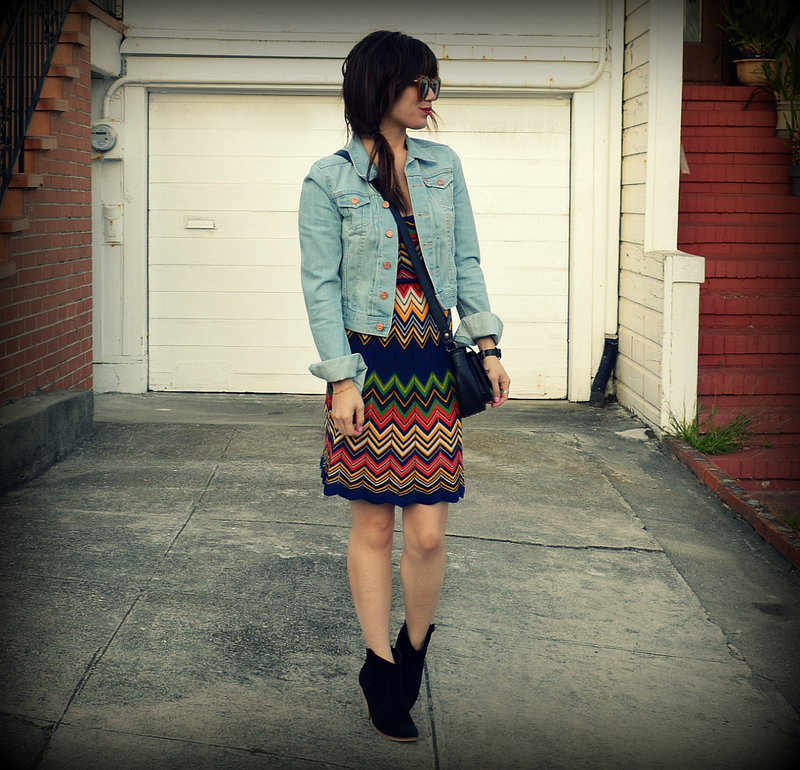 I've never shopped on Ebay, maybe I should start looking..
love this aztec dress on you. 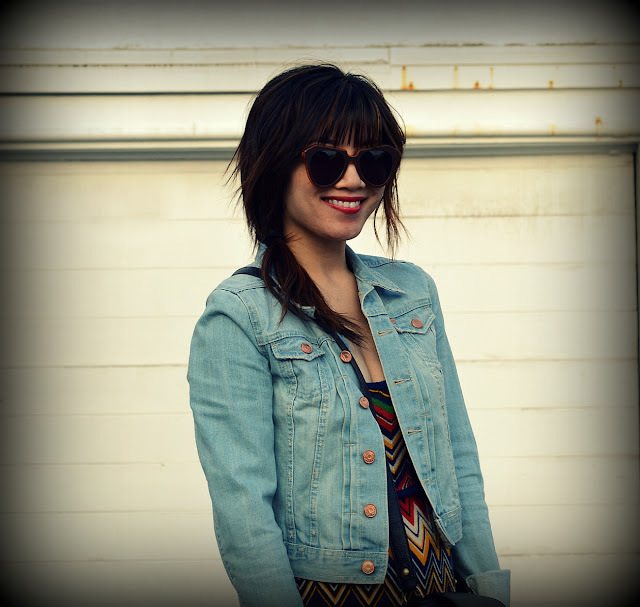 the print is fab and i love the addition of the denim jacket - I love a great denim jacket, such a staple!! Love the dress. Very Missoni-like! What a fun outfit! Love the prints to bits. Oh man, I haven't watch avengers! Can't wait! 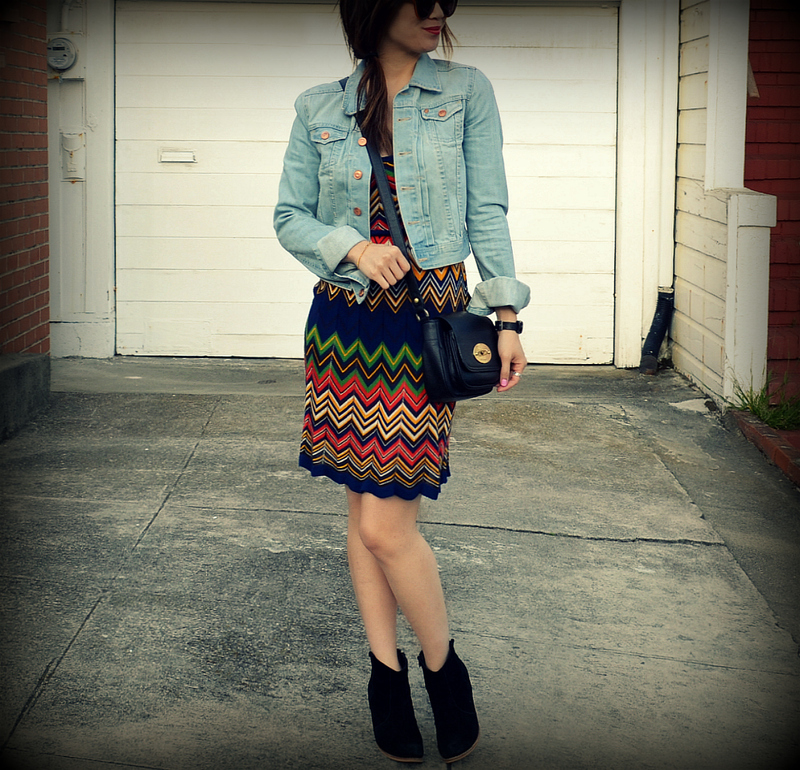 Love your aztec dress and denim jacket, you look amazing! Your sunglasses are such an awesome shape too. Thanks for stopping by my blog! I love this look. Everything just works. Really adoring that dress! Lovely dress! I shared your post about the Avengers on Facebook. That´s just incredible! Sometimes, forever 21 is really surprising and makes really well made beautiful dresses and this is one of them. I love the way it fits you and the colors. Yay for color. That dress is fabulous - such a steal! 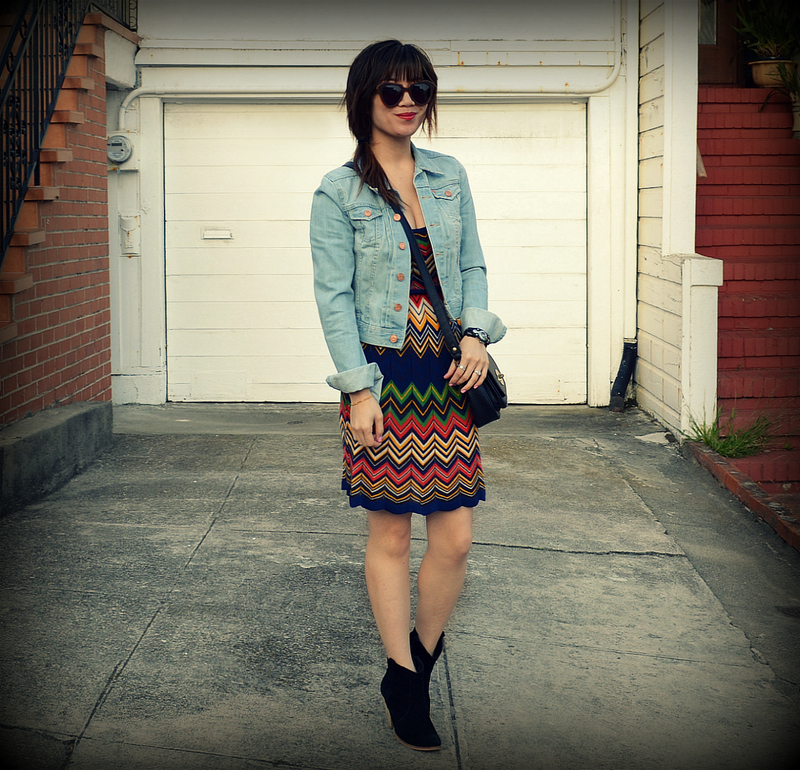 perfect pairing of that whimsical dress with the western booties! 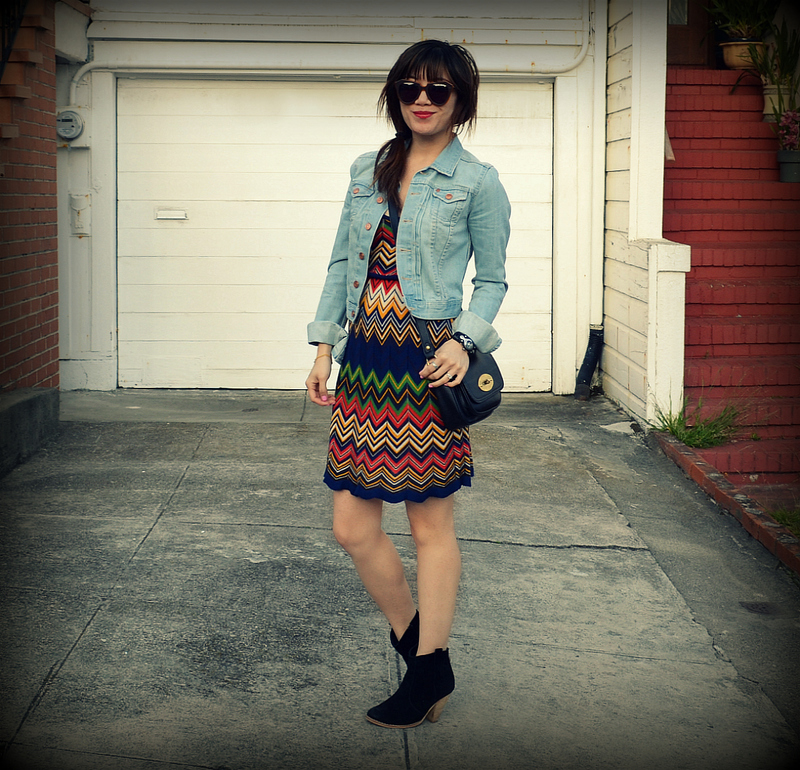 ADORE this zigzag dress, can't even say how much! The bright colours are fun, the fit is sublime, and it's got such funky personality! What a great dress! I love the colors... and I love that you paired it with a denim jacket; a spring time essential, for sure!